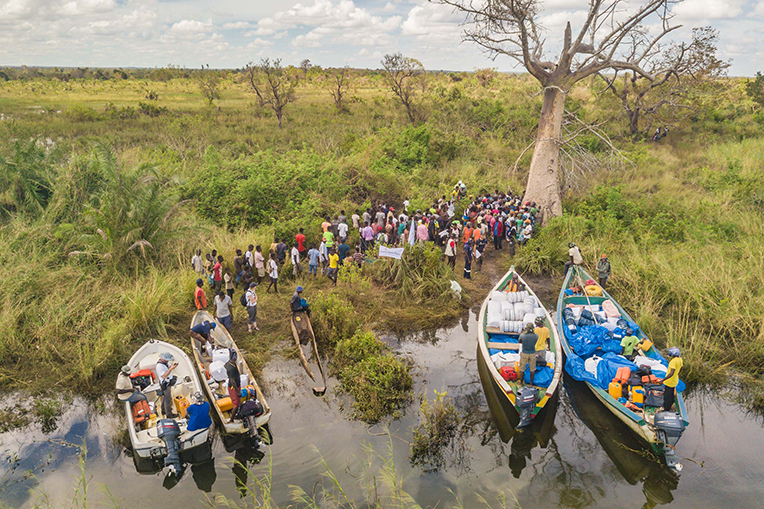 Samaritan’s Purse responded to this dire need, travelling over 30 miles by boat each day along the Pungwe River to provide emergency relief supplies to three of the hardest-hit communities. 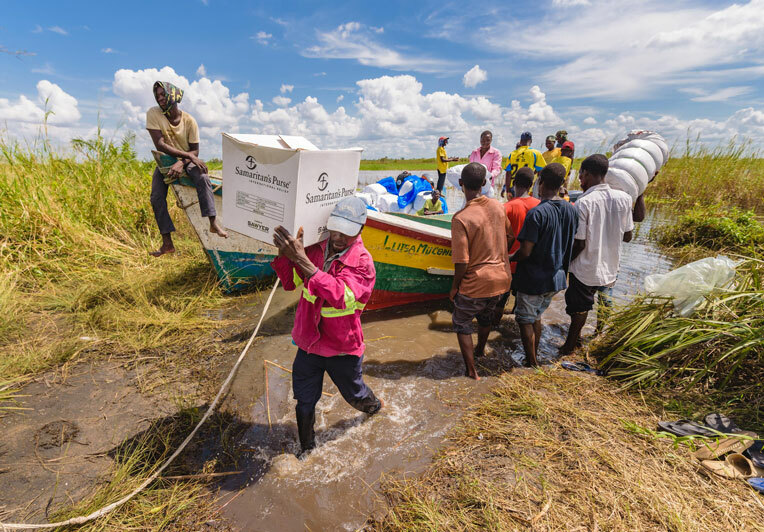 Team members distributed heavy-duty plastic tarp, water filtration units, mosquito nets and blankets to 1,600 families in the Chissange, Chissene, and Chibwabwa villages over the course of three days. 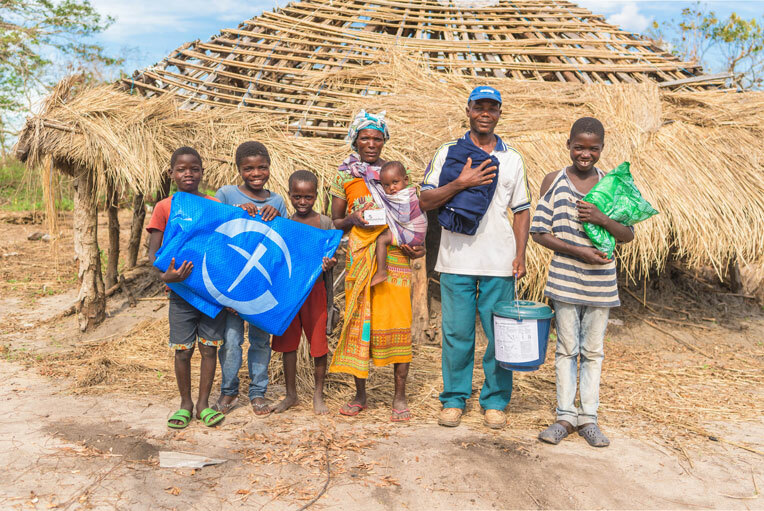 Samaritan’s Purse tarps will allow families to construct weatherproof shelter and blankets will keep them warm at night. Even more than the physical aid, Matacipo rejoices that Samaritan’s Purse comes in the Name of Jesus. 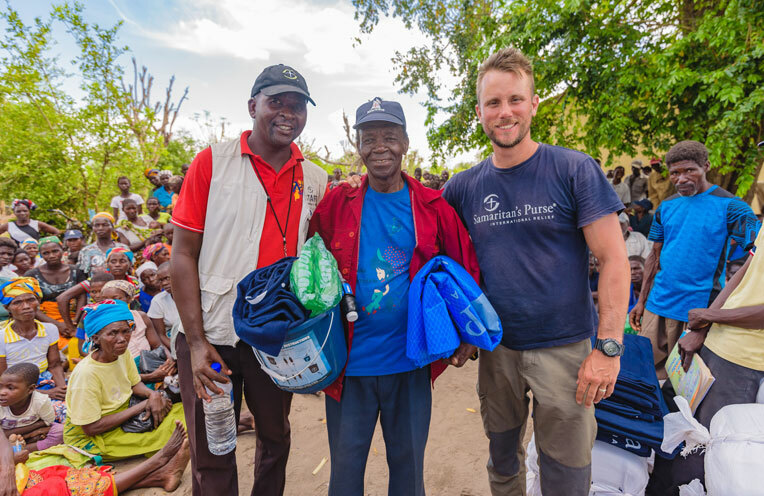 When Samaritan’s Purse distribution coordinator Paul Carr prayed for people in the village to know and accept Christ, Mulapha was one of several community members to raise his hand.  He was overwhelmed that an organisation would travel across the world to help him and his family.